Orangutan is the only ape that can be found outside Africa. Earlier, Bornean and Sumatra Orangutan are considered as single species but researcher’s found significant differences in their DNA and differentiated them. Similar to all other apes, they are also intelligent and share almost same DNA (97%) with humans. Their reproductive rate is very low when compared to other mammals. It is hard to see mammals which give birth once in 6-8 years. Their low reproduction rate is one of the main reasons for significant decrease in population. They build a nest every day to sleep and they use branches and other dried wood pieces available to make their nests. Gestation period is 8-9 months and the mother takes care of baby Bornean Orangutan until they reach 5-6 years. 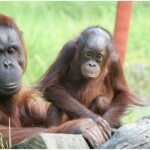 Female Bornean Orangutan stays with mother till they reach fifteen to sixteen years. 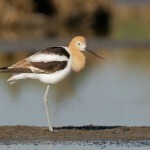 Males love to lead an independent life and they come close to females only to mate. With proper training, they can even solve complex problems. They use large leaves as an umbrella during rainyseasons. They even build a protection layer while building nests which is hard to see in other animals. 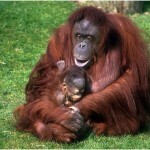 Orangutan is considered as the biggest and largest animal of all arboreal species. 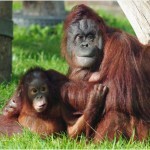 Male Bornean Orangutan species are double in size compared to female Orangutans. 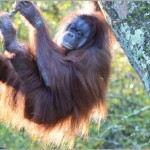 Female Bornean Orangutan prefers male Orangutan with flanges or cheek pads. Long calls made by Orangutan can be heard up to 2 miles. 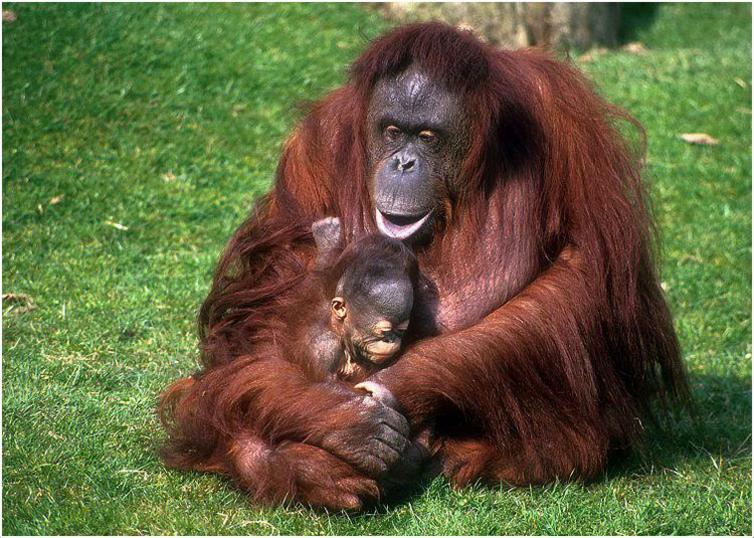 Orang-utan means ‘man of the forest’ in the Malaysian national language. 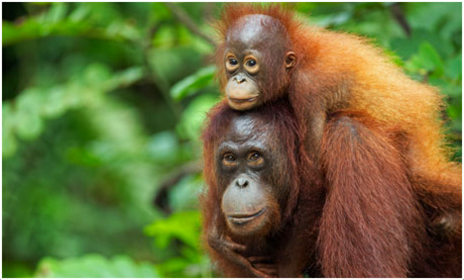 100 years back, the total population of Orangutan was 230,000 but it became 64,500 now. In most of cases, they eat lychees, mangoes (when available) and figs. These items constitute majority of their diet and apart from these items leaves, tree bark and fruit are also eaten by them. They rarely eat eggs and small vertebrates. Their energy requirements are high as they are active all the time. 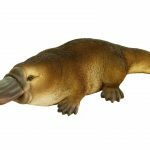 For water they depend on fruits and tree holes and they make occasional visits to lakes, rivers and other water sources. Based on the availability and abundance, they change their diet patterns and in the opinion of researchers, they eat close to 400 food items. The bornean orang-utan is mostly found living in forests. 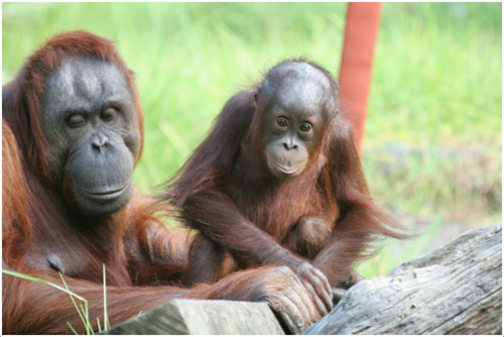 As per 2008 census, the population of Sumatra Orangutan and Bornean Orangutan is close to 7,500 and 57,000 respectively. Bornean Orangutan is in the endangered category of IUCN convection status. 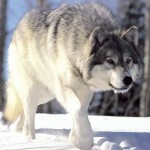 They are hunted by farmers when they reach nearby agricultural farmlands for food. 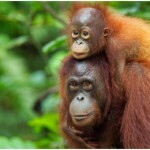 Habitat destruction is one more reason which is seriously effecting the Orangutan population. They are very active and always wander in their habitat. They play and swing along the branches of trees and they are active from morning to evening and take rest during night. Their activity requirements are high and because of lack of sufficient exercise they become obese and weigh greater than 165kgs when they are in human captivity. Orangutans give value to relations. They are intelligent and marks boundaries representing the territories owned. They won’t hesitate to go to long distances in search of food. As they share almost same DNA with humans, they are intelligent. With proper training they can use different tools, musical instruments and do many tasks. They are quick learners and the learning abilities differ from one to other. 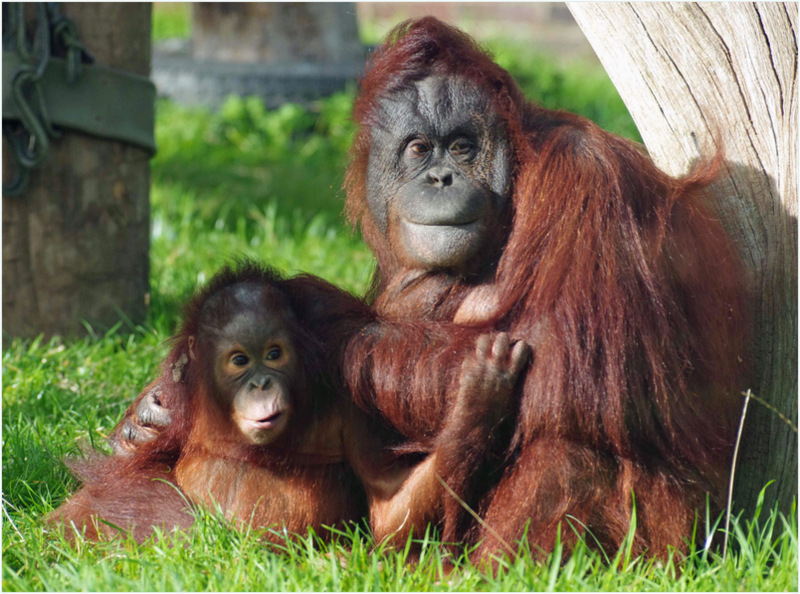 As mentioned before, these animals have a low reproductive rate.Though male Orangutans loves to lead an independent life after reaching maturity, female Orangutan stays with mother and observes her mother while taking care of her younger sibling. It gets separated from mother in her teens and forms a relation with another male. These creatures live in dangerous areas.They usually face danger from the leopards, hunting dogs, tigers, and crocodiles. Therefore, they come up with ways to defend and protect themselves. After breeding, the gestation period is approximately 9 months. The mother takes care of its off springs until they reach 5-6 years. From here, they fend themselves. Tough they are in black color; their pinkish mouth region can be observed from long distances also. Their broad face and short beards resemble humans. Female Bornean Orangutans weighs 30kgs (average) whereas male ones weight close to 75kgs (average).Bornean Orangutans are 1 to 1.4mts long. Shaggy reddish fur and hair on face appear like a coat. They are seen in Black color only. Bornean Orangutans are darker than their Sumatran counterparts. Their hands are so long and strong and they can easily hang from trees and move by swinging from one branch to other. These are creatures who can live long. They have a life span of about 40 years. This is possible if they take care and avoid danger. There is no clear information on diseases than are commonly observed in Orangutan. However scientists are in the opinion that Bornean Orangutan are more prone to diseases that are commonly seen in chimpanzees. Though their life span is 35-45 years, there are instances where Bornean Orangutan lived for 60 years in human captivity. They are hard to groom as they are not stable. It is better to bathe Orangutan twice a week if they are under human captivity and no other special grooming sessions are necessary. They don’t shed much. It is rare and quite minimal. This is because of its adaptation features. The full name is Bornean Orangutan. As per scientific nomenclature, its name is PongoPygmaeus. They belong to Hominidae family. Their life span is in the range of 35-45 years. They are emotional, intelligent and active. Female Bornean Orangutans are 1-1.2mts long. 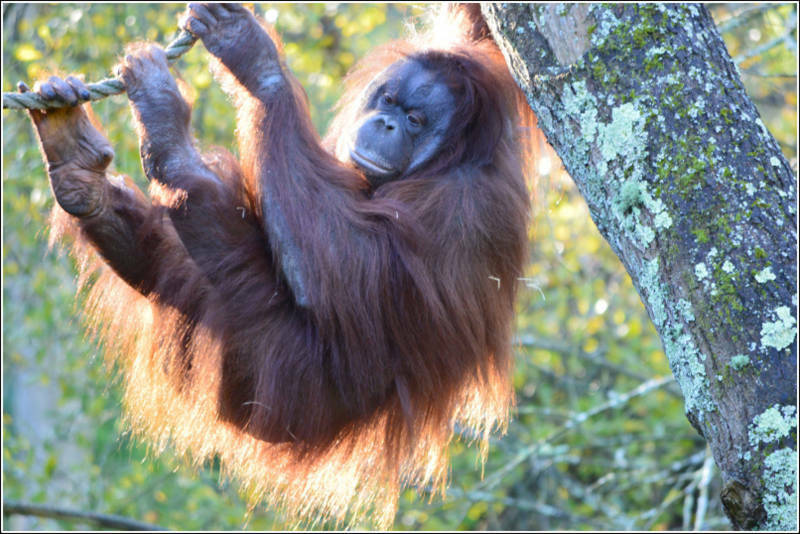 Male Bornean Orangutans are a bit longer and they measure 1.2 -1.4mts long. They weigh in the range of 66 – 225lbs. They are generally seen in Blackcolor. They are sold for $600 – $750 in Indonesia.